I went ahead and got a 2nd degree burn on my entire right hand last night. Will be wrapped up like this for a week. 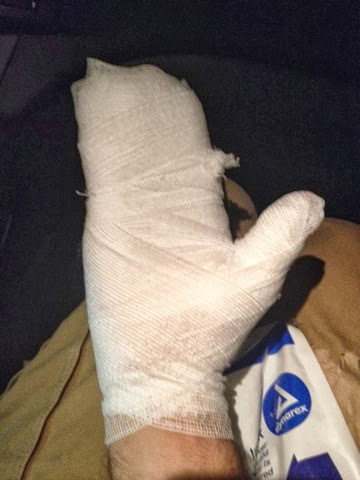 Not really going to be able to type any reviews until the mummy hand is gone. Sorry.